Well, it's finally here! 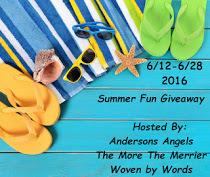 It's time to get ready to usher in summer with our Summer Fun Giveaway! I'm excited to give one winner a fabulous variety of products that are perfect for the summer! Who's ready to win? All of the prizes were sent to me for review, and now you're getting the chance to win the same! The hosts and participating bloggers aren't responsible for shipping the winning products. This giveaway is open to US Residents who are 18+ yrs old. Here's what one person is going to win, which all has a retail value of $345! Now, it's time to start entering! After you've entered here, be sure to check out the rest of the giveaways in this hop below. 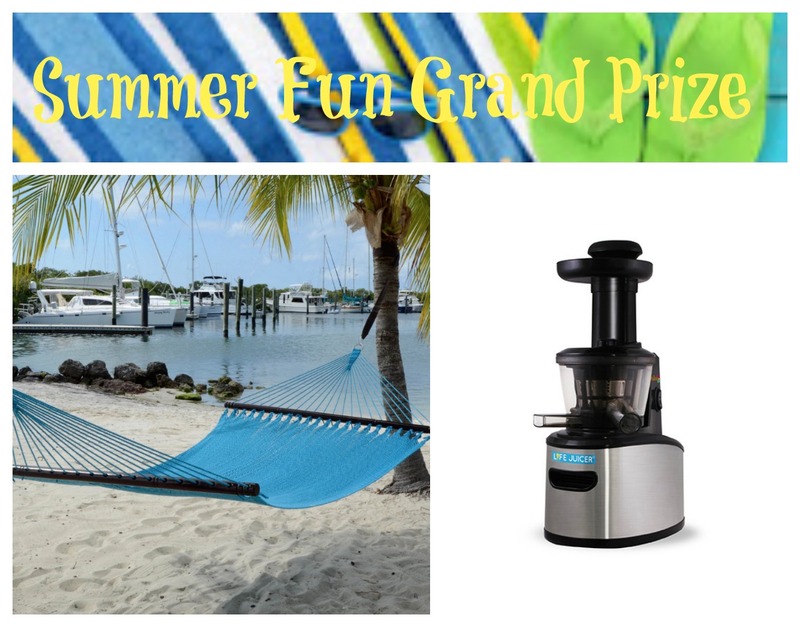 Be sure to enter the Grand Prize! I am most excited about the swim top and board shorts. I'm most excited to win the UVSkins Swim Top & Board Shorts. I would love to have the Belgard BBQ Tool Set the most. All of the prizes are fantastic though. I am really excited about the UV swim and board shorts. I have very very light skin and swear I turn bright red, just outside for a few moments. These would really come in handy. The bbq kit is so nice and I need one. They are all so nice but the therm o rest pillow sounds real good. I would like the Belgard BBQ Tool Set. My husband would love that!!! I would love to have the BBQ set. Im excited to win the board shorts and uv clothing I have lupus so I need uv clothing if out in the sun for a long period of time. I am excited for the Picnic Basket Cooler. I would be excited to win the UVSkins prize. My hubby would like the Belgrade BBQ tool set. I'm excited for the BBQ tool set! I'm most excited about the Belgard BBQ Tool Set & Picnic Basket Cooler, it would be really nice to have for the summer. Thank you. 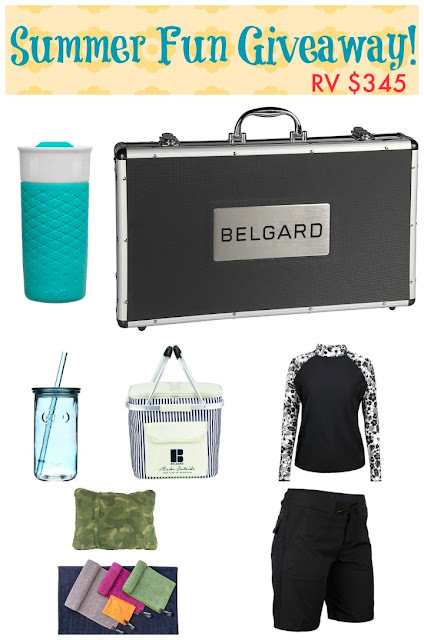 I'm most excited for the Belgard BBQ Tool Set & Picnic Basket Cooler! I am most excited about the BBQ tool set. I am most excited about the Ello Glasses: Newport & Ogden. I am most excited about the UVSkins Swim Top & Board Shorts. They are perfect for the beach. I love the Belgard BBQ Tool Set & Picnic Basket Cooler out of this prize pack. I alos love the Viotek juicer. There's nothing better than all the freshness of summer foods. Thanks for letting me know Ronalee! I like the picnic basket cooler, its great for hot days! I'm most excited about the UV skins gear. thanks for a great giveaway! Actually I am excited about the entire prize package. However the Belgard BBQ Tool Set & Picnic Basket Cooler is the first prize that caught my eye. I would Love to win the Picnic Cooler Basket, so neat. Thanks for the opportunity! I'm excited about the UVSkins Swim Top & Board Shorts. I want the BBQ tool set. You can never have enough of those. I love the picnic basket cooler! I would use this a lot especially with my son's sports schedule. This would be perfect to take stuff to the field. I am most excited about the UV Skins Swim Top andBoard Shorts. I'm most excited about the Belgard BBQ Tool Set & Picnic Basket Cooler.